Ending date is a wild guess. Ended up doing the stockinette section to about 8.5” total length in order to not run out of yarn. Not 100% whether it works with the drape, etc; will see when it’s blocked. Very warm/comfy tho. 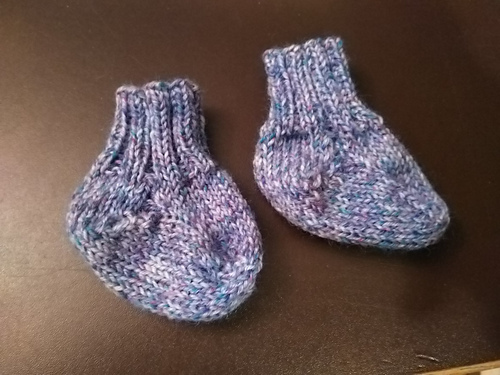 I followed the directions for the correct size by age and they were terribly too small. Also, there’s something off about the heel, which I think is similar to the Fish Lips heel, and it just didn’t quite work. I’m always surprised how fast these go! Also, note to future self: do this on the interchangables, that’s the length that fits best. 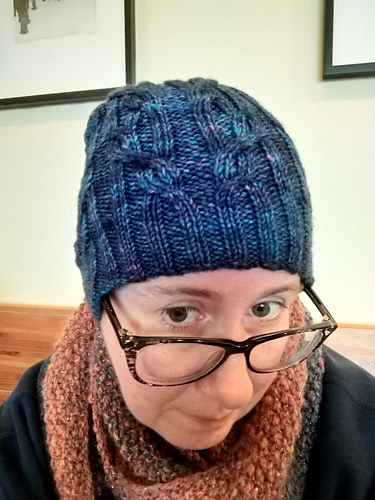 Also, this yarn looks amaaaaazing in person but photographs exceptionally poorly. Something about that purply-blue, it’s hard to get the right light for the camera. I think it’ll open up more if I block, but very cozy even unblocked. Yup, much better lightly blocked. 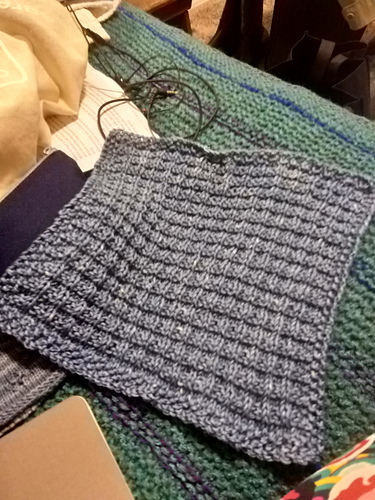 Did 15 repeats and it looked about square (and I needed a washcloth) so I finished there. 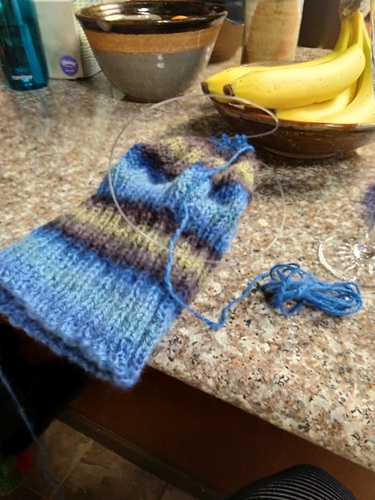 However, in use it tends to stretch sideways more than lengthwise, so I think even 17 repeats (as per pattern) is too short, if I make another I’ll do at least that many. 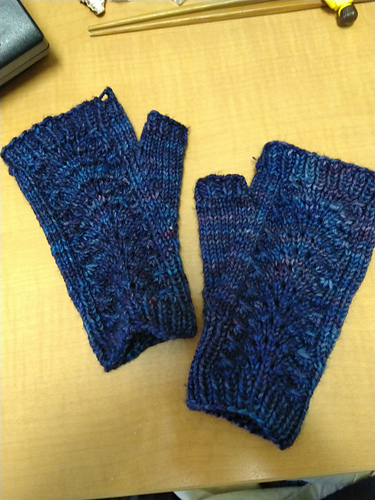 Used just shy of one skein.